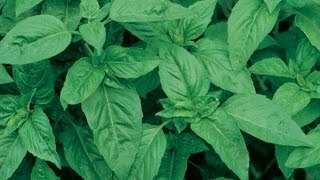 Best basil for Italian pesto. Certified Organic. This Italian variety has extremely tender, fragrant, extra-large, dark green leaves and is superb for pesto. Start early indoors or outside after all danger of frost. We searched the world to find the best organic seed-Burpee fully guarantees that not a drop of synthetic chemicals was used to make these excellent seeds. Certified Organic Seed. 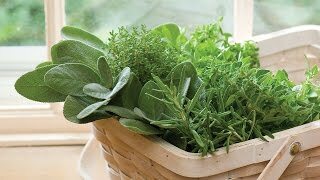 It’s the most popular garden herb, easy to grow, and comes in an incredible selection of colors, shapes and flavors. Basil, Genovese Organic is rated 5.0 out of 5 by 4. Rated 5 out of 5 by Paulywog0667 from A classic Basil I started growing genovese basil a few years ago. Not that I've tried a lot of pestos, but I would have no problem keeping 50 of them indoors and weekly trimmings. Rated 5 out of 5 by Customerabc from They all sprouted! Happy w/ these. Every seed sprouted. Getting them to the proper pot early, proper pruning and lots of light helped. In my area grow lights are a must. Rated 5 out of 5 by Steph2888 from fabulous basil Love this basil. It is a strong performer and delicious. Rated 5 out of 5 by marshathegardener from Beautiful plants and great flavor I just pulled up my basil in anticipation of tonight's frost--the plants are about four feet tall and my garage smells like an Italian restaurant. I've used this basil all season in salads, pasta salads, and soups. I've had plenty to share with neighbors. Beautiful plants and very prolific!